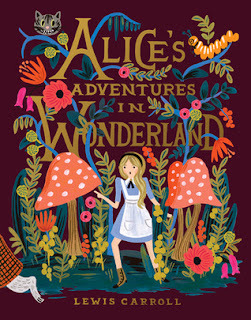 I had read Alice's Adventures some time ago, and had started Through the Looking-Glass, but both had faded from my mind. It seemed like a good time to get back to them. Next month I start publishing new books. Between editing and writing, I probably won't have as much time to read as I have these last few months. There might be some time before the next post like this comes out. In the meantime, you can send me a friend request at Goodreads or follow me. If you've read and liked my books, please rate them. Happy reading to us all!